The Republic of the Philippines consists of a group of 7,107 islands situated southeast of mainland Asia and separated from it by the South China Sea. The two largest islands are Luzon (40,814 square miles/105,708 square kilometers), and Mindanao (36,906 square miles/95,586 square kilometers). Comparatively, the area occupied by the Philippines is slightly larger than the state of Arizona. The land is varied, with volcanic mountain masses forming the cores of most of the larger islands. A number of volcanoes are active, and the islands have been subject to destructive earthquakes. Lowlands are generally narrow coastal strips except for larger plains in Luzon and Mindanao. Forests cover almost one-half of the land area and are typically tropical, with vines and other climbing plants. Pollution from industrial sources and mining operations is a significant environmental problem in the Philippines. Almost forty of the country's rivers contain high levels of toxic contaminants. About 23 percent of the nation's rural dwellers do not have pure water, while 93 percent of the city dwellers do not have pure water. Also threatened are the coastal mangrove swamps, which serve as important fish breeding grounds, and offshore corals, about 50 percent of which are rated dead or dying as a result of pollution and dynamiting by fishermen. The nation is also vulnerable to typhoons, earthquakes, floods, and volcanoes. people all over the world. As a result, the Philippines is made up of a range of different people and ethnic groups. While there are many different dialects and languages, Tagalog is the national language. The people of the Philippines are called Filipino. Filipino cuisine reflects the blending of these wide and varied cultures. 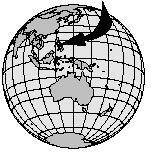 Malays, from Malaysia, were among the first inhabitants of the Philippines over 20,000 years ago. They brought with them the knowledge of preparing hot chilies and the use of ginataan , or coconut milk, in sauces to balance the spiciness. The Chinese established colonies in the Philippines between 1200 and 1300. They introduced pansit , or Chinese noodle dishes, and bean curds. Later came egg rolls, and soy sauce. Like the Chinese, the Filipinos consume a wide array of dipping sauces to accompany their dishes. Spain occupied the Philippines for almost 400 years, beginning in 1521. This colonization had a major impact on Filipino cuisine. A majority of the dishes prepared in modern Philippines can be traced back to Spain. In fact, everyday Filipino dishes resemble Spanish cooking more than native meals. The Spaniards introduced a Mediterranean style of eating and preparing food. Techniques such as braising and sautéing, and meals cooked in olive oil, are examples. Spain also introduced cooking with seasonings, such as garlic, onions, tomatoes, sweet peppers, and vinegar. The United States took control of the Philippines after the Spanish-American War in 1898, staying through World War II (1939–1945) until 1946. The U. S. military introduced goods shipped in from their country such as mayonnaise, hot dogs, hamburgers, and apple pies. Canned evaporated and condensed milk often replace the traditional buffalo milk used in desserts, such as flan (caramel custard). Nowhere else in Asian cuisine can cheese and canned tomato sauce be found in recipes. All of these foods are still favorites of the Filipinos and can be found almost anywhere in the country. Cover the pan filled with the flan custard with foil. 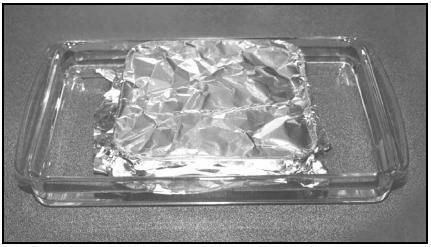 Place the foil-covered pan into a larger pan with about one inch of water in it. This is a "water bath." The water keeps the custard pan from getting too hot and overcooking the custard. Pour the water in a saucepan and bring to a boil. Add the sugar and stir constantly over medium heat until sugar is melted and it forms the consistency of syrup. Pour the syrup evenly into any ovenware dish that is about 2 inches deep, such as a square brownie pan. Tilt the dish so the syrup coats all of the sides. Refrigerate while preparing the custard. Add the rest of the custard ingredients to the mixing bowl. Stir lightly when mixing to prevent bubbles or foam from forming. Remove the caramel-lined dish from the refrigerator and pour the custard mixture slowly into it. Cover the custard dish with aluminum foil. Set it into a large shallow pan (such as a cake pan). Pour water into the larger pan until it is about one-inch deep. This is called a water bath. Bake in oven for 1 hour, or until the custard is firm. Cool to eating temperature. May be served warm or chilled. Like other Southeast Asian cuisines, the Filipinos eat a lot of vegetables and rice. Similarly, they also eat many types of seafood, saving meat for more special occasions (often in the form of lechon , or whole roasted pig). The waters surrounding the Philippines islands provide over 2,000 species of fish. In addition, Filipinos have been farming fish in palaisdaan , or fishponds, using aquaculture (raising fish and shellfish in controlled conditions) for over 1,000 years. Patis, a clear, amber-colored fish sauce, is used in Filipino dishes as much as soy sauce is used in China. For over 2,000 years, rice has been grown in the Philippines and is eaten almost daily. As of the twenty-first century, over twenty varieties of rice are cultivated, which are made into thousands of different cakes, noodles, and pancakes. Rice noodles are common in fast-food restaurants and stands, served heaping with a choice of different meats and vegetables. Noodles symbolize prosperity, long life, and good luck. Filipinos believe the longer the noodles, the better, so noodles are generally not broken or cut when a dish is being prepared. To select a fresh coconut, shake it to feel the sloshing of liquid inside. A cracked or old coconut will be empty and dry. 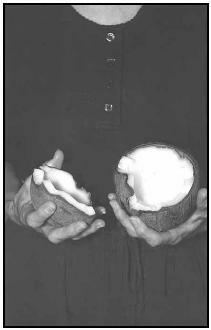 Opening the coconut: Locate the brown eye-like spots at one end and pierce with a sharp point. Drain off the liquid. Preheat oven to 400°F. Place the coconut in the oven on a cookie sheet and bake for 15 minutes. Remove the coconut and wrap in a clean kitchen towel. Carefully crack it open with a hammer. 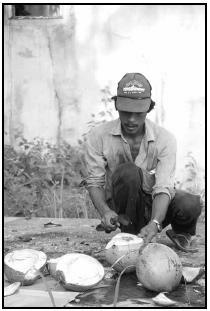 The coconut meat should be broken away carefully from the shell. If a portion is not broken easily away from the shell, return the coconut to the oven for a few minutes more. Once all of the meat is out of the shell, you can grate the meat with a small hand grater, shred the meat in a food processor, or with a sharp knife. One coconut makes about 4 cups of shredded coconut. Since the weather in the Philippines is tropical, many types of fruit are grown. Pineapples, strawberries, cantaloupe, melon, kiwi, bananas, guapple (a cross between a guava and an apple) and coconut are just a few examples. Coconuts are plentiful and are used in and on everything. The coconut meat inside can be eaten, and the ginataang (milk from the meat) can be used in refreshing drinks or for sauces to cook fruits and vegetables in, such as adobong hipon sa gata (shrimp adobo in coconut milk). It can also be grated or baked into desserts and sweets, such as maja blanca (coconut cake). Homemade coconut milk tastes its best when freshly made; even if it is refrigerated, it quickly loses its flavor. Fill a large saucepan halfway full of water and bring to a boil. Set aside 2 cups. If using a blender or food processor, add shredded coconut and boiling water and blend for 1 minute. Let cool for 5 minutes. If not using a blender or food processor, put shredded coconut in a mixing bowl and add the boiling water. Let set for 30 minutes. Strain coconut liquid (prepared by either method) through cheesecloth, gauze, or nylon into a medium-size bowl. Squeeze and twist cloth to remove all milk from the coconut meat. Repeat the process if more coconut milk is needed. After baking in the oven, the hard coconut shell can be cracked open to reveal the white coconut flesh. The flesh should break away from the hard shell. A vegetable vendor slices produce to prepare it for sale. Separate the egg yolks from the egg whites one at a time. If using freshly grated unsweetened coconut, add about 3 Tablespoons of sugar to taste into a small bowl. No sugar is needed if packaged or canned sweetened coconut is used. Combine coconut and melted butter or margarine in medium mixing bowl. Using fingers, press mixture onto the bottom and sides of a pie pan, making a piecrust. Bake for about 5 minutes, or until lightly golden. Remove from oven and cool to room temperature. Put cornstarch and sugar in medium saucepan. Add water and mix well to dissolve cornstarch. Add coconut milk and egg yolks. Stir constantly over medium to high heat until mixture boils. Reduce heat to low and stir constantly until smooth and thick, about 5 minutes. Remove from heat and pour mixture into coconut piecrust. Cool to room temperature and refrigerate for about 3 hours to set. To serve, cut into wedges and add a scoop of whipped topping on top. While Filipinos use limited spices in their cuisine compared to other Asian nations, they love the taste of sour flavors, particularly vinegar. Meats and fish are commonly marinated in palm vinegar, which is half as strong as Western-style vinegar. Vinegar acts to preserve freshness. Since refrigeration is not nationally available, this marinating method, along with drying, salting, and fermenting are techniques used to preserve meats. Instead of adding strong flavors to their cooking, Filipinos use strong-tasting condiments to accompany their food. The national dish of the Philippines is called adobo . Not only is this a national dish for the Filipinos, but it is also a style of cooking. This Spanish-influenced dish is like a stew, and involves marinating meat or seafood pieces in vinegar and spices, then browning them in their own juices. The sauce in adobo usually contains soy sauce, white vinegar, garlic, and peppercorns (or pepper) and is boiled with the meat. The vinegar preserves the meat, and adobo will keep for four or five days without refrigeration. This is considered an advantage in the tropical heat. Pork adobo is the most popular, for those who can afford it, but any type of meat or seafood can be used. Make marinade: Place the vinegar, water, pepper, garlic and patis (or soy sauce) in a medium-size pot. Add the shrimp to the marinade and let stand for 1 hour. Put the pot over medium heat, and cook the shrimp, turning the shrimp often, until they have absorbed the marinade and the pot is almost dry. Pour in the coconut milk and continue simmering, allowing the mixture to thicken, stirring occasionally (about 20 minutes). Serve. 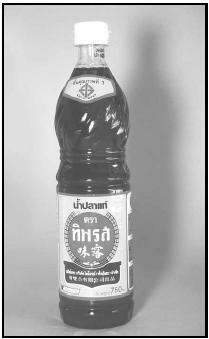 Patis, or fish sauce, used by cooks all over Asia, is available at some grocery stores elsewhere in the world. This brand, while not made in the Philippines, is popular there. Soy sauce, or salt alone, may be substituted for patis. Christian holidays are the most widely celebrated holidays in the Philippines. This is because Spain introduced the Catholic religion centuries ago when it occupied the Philippines. In the twenty-first century, about 90 percent of Filipinos are Roman Catholic Christians. 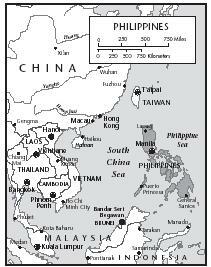 The Philippines is the only Asian country that is primarily Christian. Filipinos claim to have one of the world's longest Christmas celebrations. Their celebration begins December 16 and lasts for three weeks. On Pasko Ng Bata, Christmas Day, families may gather to eat lumpia (spring rolls), and drink tsokolate (a native chocolate drink) and salabat (ginger tea). Separate the egg yolks from the egg whites one at a time and put the yolks in a medium mixing bowl. (Discard the egg whites or reserve them for another use.) Beat the yolks with a whisk. Cut chocolate bar into small pieces. Pour milk into saucepan and add chocolate. Heat to boiling, stirring constantly, until chocolate is melted. Add the egg yolks to the saucepan. With a whisk, beat the whole mixture until foamy, about 5 minutes. Serve immediately. Filipino families meet to share a Christmas meal, but they save their Christmas feast for Epiphany. The holiday season ends with the Feast of the Epiphany, which is on the first Sunday in January. This is when families gather to eat pork lechon, which is a whole pig roasted outside over a spitfire of burning coals. Served with the pork are a garlic rice called sinangag and other rice dishes, such as bibingka (rice cake with salted eggs and fresh coconut meat) and suman (steamed rice wrapped in banana leaves). Vegetable dishes and assorted fruits, such as pineapples, bananas, persimmons (very tart fruit that looks similar to a tomato), and papayas, are eaten as well. Desserts, cookies, and cakes top off the huge feast, which can go on for several hours and then is followed by a long afternoon nap. Filipino dishes are based more on distinctive tastes and textures than different courses. Instead of serving courses separately, they are all brought to the table at one time so the diners can enjoy all flavors and dishes together. Dining at a Filipino table is similar to eating at a buffet. Even the dessert is part of the buffet-style meal. The dessert provides a sweet balance to the salty and sour tastes that are part of a meal. Unlike in much of the Western world, burping is not considered rude in the Philippines where it means you are full and enjoyed the meal. Sometimes a burp is followed with the expression, Ay, salamat, which means, "Ahh, thank you." Anyone who visits a Filipino home, no matter what time of day, is offered food. If the guest interrupts a meal, which is common because most Filipinos eat five or more meals a day, they are invited to join the diners. Eating is so constant, in fact, that many Filipinos use "Kumain ka na?" ("Have you eaten yet?") as a general greeting to each other. Before outside influences, Filipinos used their hands to eat. The traditional way of eating was to scoop up food from flat dishes with fingers of the right hand. Some upscale native restaurants in Manila, the country's capital, serve food this way. With Western influences and the introduction of knives, forks and spoons, Filipinos have adapted their ways. The fork and spoon are the two main utensils of choice. The fork is held with the left hand and the spoon in the right. The fork is used to spear and hold the piece of food while the spoon is used to cut or tear off small pieces. Almusal (breakfast) is the first meal of the day, and usually consists of leftovers from the previous evening's dinner, like garlic fried rice and cured meat. Ginger tea is usually drunk. Ensaimada (fluffy, sugared, coiled buns), smoked fish, salted duck eggs, fried eggs, Chinese ham, Spanish sausages, and fresh mangos are just some of the foods that might be eaten. For lunch, mongo (a stew of munggo —mung beans—and shrimp with olive oil and lime juice), caldereta (goat and potato stew), and ensaladang balasens, an eggplant salad, may be eaten. All of these dishes are typically accompanied by white rice. Most school students carry lunchboxes to school. In it, they would have a thermos with a sugary fruit drink, a large container of plain white rice, a small container with fried fish or chicken, and a small container of tomato sauce on the side. They would typically not take any fruit or vegetables. A student's lunch box also might contain a peanut butter sandwich for an afternoon snack. For dinner, Filipinos will often go to a simple turo-turo restaurant. This literally means "point point," which is how they select their food. They may choose menudo (hearty pork and chickpea stew), or pansit (noodle) dishes, such as pansit mami (noodles in broth). If they decide to go a fancier restaurant, they might enjoy patang bawang , which are deep-fried pork knuckles with garlic and chilies, and maybe a wedge of American-style lemon meringue pie for dessert. In a medium pot, boil pork and chicken in water until tender. Season with a pinch of salt. Remove the meat from the water and allow to cool. Reserve 2 cups of the cooking stock (water used to cook the meat). Cut the pork and chicken into strips. Set aside. In a large skillet, heat the oil on medium heat and sauté the garlic and onion for about 3 minutes. Add the pork and chicken. Add the stock. Bring the mixture to a boil, add the rice noodles or egg noodles, and simmer for 2 minutes until the noodles are tender. Season with a pinch of salt and pepper. Dessert is the highlight of a meal for many Filipinos. They consider stir-frying very easy compared to perfecting a dessert. In fact, a cook's reputation may be based on the skills needed to make dessert dishes. Popular desserts are candies, like polvoron , and cakes such as bibingka , made from rice flour and sprinkled with cheese and shredded coconut, which are eaten as snacks during the day. Place sifted flour in a saucepan and toast over medium heat until light brown, stirring constantly. Remove from heat and cool. Add powdered milk, sugar, melted butter, and lemon or vanilla extract. Add water, 1 Tablespoon at a time, until the mixture holds together and can be molded into balls. With your hands, flatten into little cakes the size of a silver dollar. Wrap individually in wax paper. 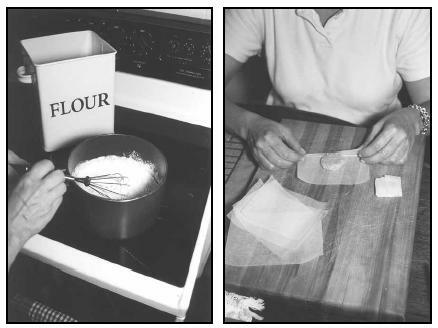 The first step in making Polvoron (Powdered Milk Candy) is toasting the flour. After the other ingredients are added, the mixture is shaped into coin-shaped candies. The candies are then wrapped in wax paper for easy storage or sharing with a friend. Merienda means snacktime in the Philippines. Merienda is a meal in itself for those who can afford it. Merienda is important to the Filipinos because they find the gap between lunch and dinner too long, and they need to take many breaks from the intense tropical heat. Lumpia (spring rolls), puto (little cupcakes made from ground rice), and panyo-panyo (tiny pastry envelopes filled with mango and banana jam) are a few merienda dishes. Anything can be served with the snack except steamed rice. Steamed rice constitutes a complete meal, which merienda is not considered. About 22 percent of the population of the Philippines are classified as undernourished by the World Bank. This means they do not receive adequate nutrition in their diet. Of children under the age of five, about 30 percent are underweight, and nearly one-third are stunted (short for their age). Government-financed child health malnutrition programs are already well established in the Philippines; however, these programs lack significant funding and malnutrition continues to be a primary concern. Indigenous (native) foods such as mung beans and powdered shrimp are available for infants and children, but protein, iron, iodine, and Vitamin A remain deficient in their diets. An increase in community involvement since the 1980s has helped to keep the population aware of the problems with malnourished children. Such awareness has led to a gradual improvement in health care for all Filipinos. As of 1996, a vast majority (91 percent) of those living in urban areas also had access to clean and safe water, as did 81 percent of those living in rural areas. Fertig, Theresa Kryst. Christmas in the Philippines . Chicago: World Book, 1990. Hyman, Gwenda L. Cuisines of Southeast Asia . Canada: John Wiley & Sons, Inc., 1993. Jaffrey, Madhur. Far Eastern Cookery . New York: Harper & Row, 1989. Osborne, Christine. Southeast Asian Food and Drink . New York: Bookwright, 1989. Filipino Web. [Online] Available http://www.filipinoweb.com/art_cuisine.html (accessed March 14, 2001). Global Gourmet. [Online] Available http://www.globalgourmet.com/destinations/philippines/phileat.html (accessed March 14, 2001). Tribo. [Online] Available http://www.tribo.org/filipinofood/food2.html (accessed March 14, 2001). why there is no procedure and recipe of bagoong? what are the objectives of bagoong,why it is made? Thank you for this. It helped a lot with my assignment. I won't add the burping thing though. lol! I needed this it has good information and is easy to understand thanks again.